PESHAWAR -- The "Islamic State of Iraq and the Levant" (ISIL) has suffered another severe blow in the Pakistan-Afghanistan region after the death of militant commander Hafiz Saeed Khan, security experts say. Hafiz Saeed, also known as Mullah Saeed Orakzai, formerly headed the Tehreek-e-Taliban Pakistan (TTP) in Orakzai Agency, Federally Administered Tribal Areas (FATA). After other TTP renegades pledged their allegiance to ISIL in 2015, Hafiz Saeed became chief of the Khorasan branch of ISIL comprising Pakistan, Afghanistan and the surrounding region. Hafiz Saeed, 44, was killed in a joint military operation in Nangarhar Province, Afghanistan, July 26. "I can confirm that ISIL Khorasan leader Hafiz Saeed along with his senior commanders and militants was killed in Kot District," Afghan Ambassador to Islamabad Omar Zakhilwal said August 12. Hafiz Saeed was considered a key TTP commander under former TTP leader Hakimullah Mehsud -- who himself was killed in 2013 -- and was responsible for a series of terrorist attacks in Pakistan and Afghanistan. Hafiz Saeed's death came two days after the Afghan army killed another top ISIL commander, Saad al-Emirati, along with more than 120 other militants in the same province. Hafiz Saeed's death marked a major blow to ISIL expansion in the Pakistani-Afghan border zone, observers say. He had orders to consolidate ISIL, recruit members and carry out attacks. In 2009 in Orakzai Agency, when he still belonged to the TTP, Hafiz Saeed, talked to Pakistan Forward. It was the first time he divulged his expansionist dreams. "We will not limit ourselves to Orakzai or FATA or Afghanistan," he said then. "We will establish a true caliphate in the entire region of Khorasan." Hafiz Saeed's end represents a severe blow to ISIL, Peshawar-based security analyst Brig. (ret.) Muhammad Saad said. "The [Abu Bakr] al-Baghdadi group has already been restricted to only three Afghan districts along the Pakistani-Afghan border," he said, referring to the supreme commander of ISIL. "Formerly, it operated in nine." "The death of Hafiz Saeed will badly affect the operational activities as well as the sustainability of [ISIL] militants in Nangarhar and other areas," he said. The number of ISIL militants in the border zone has plummeted from about 4,000 to about 1,500 in recent months, he said, citing the impact of "infighting with the Afghan Taliban and coalition troops' attacks". Hafiz Saeed had support from Pakistani and Afghan tribes, so his death will harm ISIL's pursuit of financial and logistical support, as well as its recruitment, Saad said. ISIL is now facing a great challenge from the Afghan Taliban and coalition strikes, Prof. Pervez Iqbal Khan of the University of Peshawar Area Study Centre told Pakistan Forward. "The death of their regional chief Hafiz Saeed means they are more prone to elimination," he said. ISIL's foot soldiers are foreigners and many of their local leaders have been killed, so without Hafiz Saeed, "obviously they will be on the run to survive", he said. "TTP commanders such as Shahidullah and Hafiz Saeed joined ISIL for two reasons: for financial support and survival," he said. "They were considered the face of Abu Bakr al-Baghdadi in the Khorasan region, so their deaths mean [ISIL] is on the way out from this region." Shahidullah Shahid Shahidullah, the leader of ISIL in Afghanistan and a former TTP spokesman, also was killed in Nangarhar Province in early July. Hafiz Saeed was a key recruiter of Pakistani and Afghan members for ISIL, Muhammad Amir Rana, director of the Pak Institute for Peace Studies (PIPS) in Islamabad, said. Both Hafiz Saeed and Shahidullah held key positions in the TTP and then switched to ISIL, where they continued their brutality and intolerance until the coalition killed them, Rana said. "With both leaders dead, it is a severe blow to ISIL, which is shrinking daily," he said. "The elimination of Hafiz Saeed is a great victory," Kabul-based senior journalist Parvaiz Khawa told Pakistan Forward. "He had links on both sides of the border, and his death is an end to [ISIL] here." ISIL's suicide bombing in Kabul July 22, which killed 80 people, and other ISIL atrocities prompted coalition troops to crack down on the terrorist group. 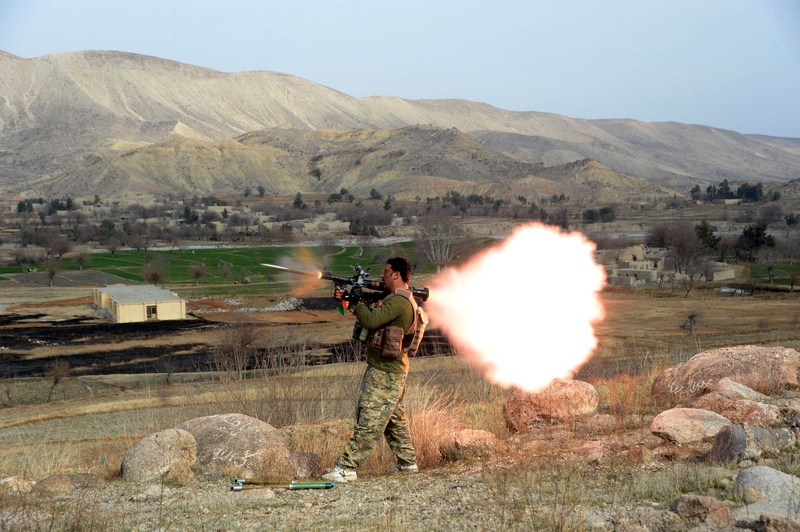 "Afghans are no longer willing to accept the foreign fighters any more as they have already suffered a lot," Khawa said. "Hafiz Saeed was the key man; his death is a severe blow to the already shrinking ISIL," said Islamabad-based journalist Kamal Haider, who has been a war correspondent for more than 20 years. "Seventy percent of the TTP ... switched to ISIL for shelter and financial support," he told Pakistan Forward. "They tried to create a foothold for al-Baghdadi loyalists, but their leadership has been eliminated one by one. They're in disarray." "Who wants to head a group that is losing territory and facing threats from the Taliban and attacks from NATO and Afghan forces?" he asked. "They have a meagre chance of survival." 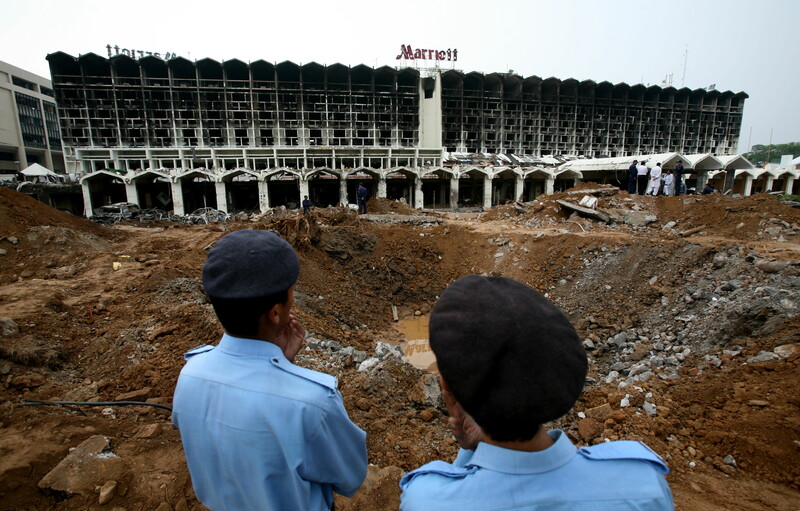 The al-Qaeda leader, killed in Afghanistan, was behind the 2008 Marriott bombing in Islamabad and the 2009 attack on the Sri Lankan cricket team in Lahore. The 'Islamic State of Iraq and the Levant' (ISIL) was stopped in its tracks when the Afghan people realised the group's ideology is un-Islamic and incompatible with Afghan culture.